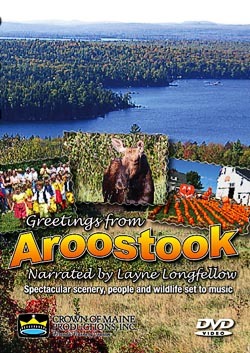 “Greetings From Aroostook” is a seventeen minute DVD featuring spectacular scenery, people and wildlife of The County set to music. The DVD includes scenes throughout the area from the Million Dollar View south of Houlton to Ramsey Ledge in The Allagash. 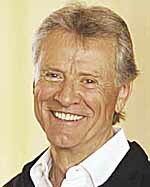 It’s narrated by Layne Longfellow, relative of the poet. It includes activities from different seasons of the year from skiing and snowmobiling to hiking and kayaking. Various cultural events are included from the Acadian Festival in The Valley to the Midsommar Festival in New Sweden, and, of course, Fort Fairfield’s Potato Blossom Festival.